Tog is a special mask. 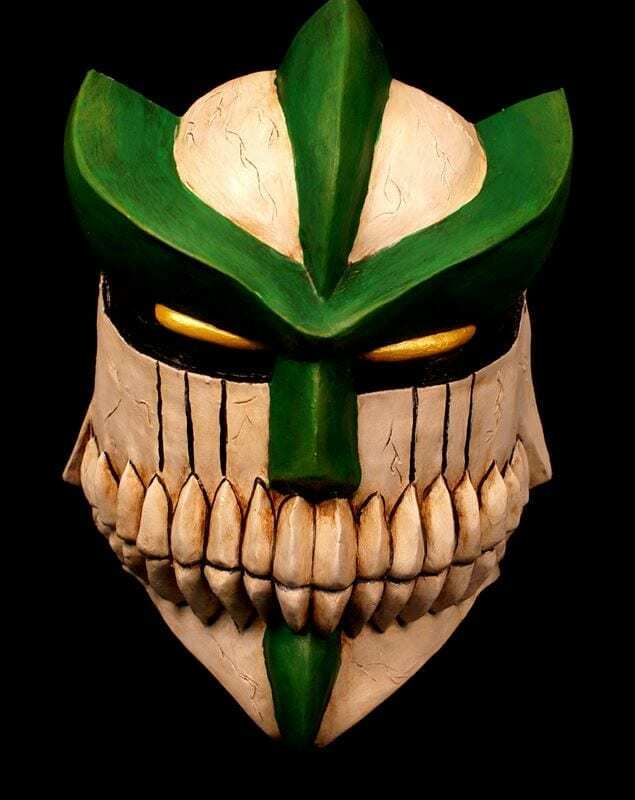 This design reflects design elements derived from Japanese anime and is wonderful mask for cosplay or comicon. The character is one of power and dimension. Magic emits from the golden eyes. Tog never walks but hovers from place to place. This mask is a great example of collaboration between Mask Maker Jonathan Becker and one his clients in the creation of a custom made mask. Process for a custom mask is simple. Clients provide, designs, images to combine or descriptions and Jonathan then creates a sculpture of the mask. Images are emailed to the client for discussion. Changes are then made and new images are sent. This process continues until the client is satisfied with the sculpture. Once the approval has been granted the sculpture of the mask is cast. The final mask is then made out of the mold. Masks for cosplay and events such as comicon have become a wonderful addition to the tradition of mask, transformation and the celebration of cultural identity.